Modern garage doors are designed to be durable and long-lasting at the same time as needing to be an attractive addition to your home. Whatever material you decide is best for your garage door, you will have a huge range of designs, finishes and colours to choose from. That’s why your choice of garage door material can always be made on practicality, because you can customise them the way you prefer, regardless of components. 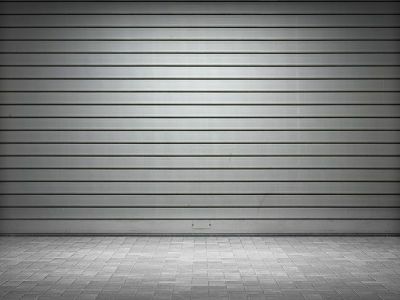 A good understanding of these garage door materials will also be a great buying guide to help you make a more informed decision. Wood is the material that will provide the most attractive-looking garage doors. They make great sectional doors, and are practical for the ‘up and over’ style, but they will also need the most TLC in terms of maintenance. They have to be repainted or revarnished on a regular basis and sadly won’t last as long as other materials. GRP is stronger, lighter, lower maintenance and far more robust than other materials. It is weather-proof, which is why the material is also used in the manufacture of boats, baths, hot tubs etc. GRP has an aesthetic advantage in that it can be moulded to give a timber effect to make your garage doors look attractive, but without the maintenance issues that come with real wood. If security or fire is an issue, the most effective material to use is steel. Premium grade galvanised steel comes with a number of finishes which protects it against corrosion, at the same time as giving you the look and colour you prefer. Aluminium is extremely lightweight which makes it a great material for garage doors. Used in conjunction with stronger PVC mouldings, double-skinned and insulated slats and a range of protective and decorative finishes, modern aluminium garage doors are quieter than steel ones and just as secure. If you are replacing your garage doors in North London and surrounding areas, talk to us about choosing the best material for the job.